"It's equal to the best I've had, including what I've sampled in Spain..."
Tonight, in the Village, AJG and I had the greatest plate of bacon ever assembled. 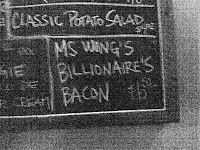 "Ms. Wongs Billionaire's Bacon"...a plate of candied pork, garnished with dried cranberries. 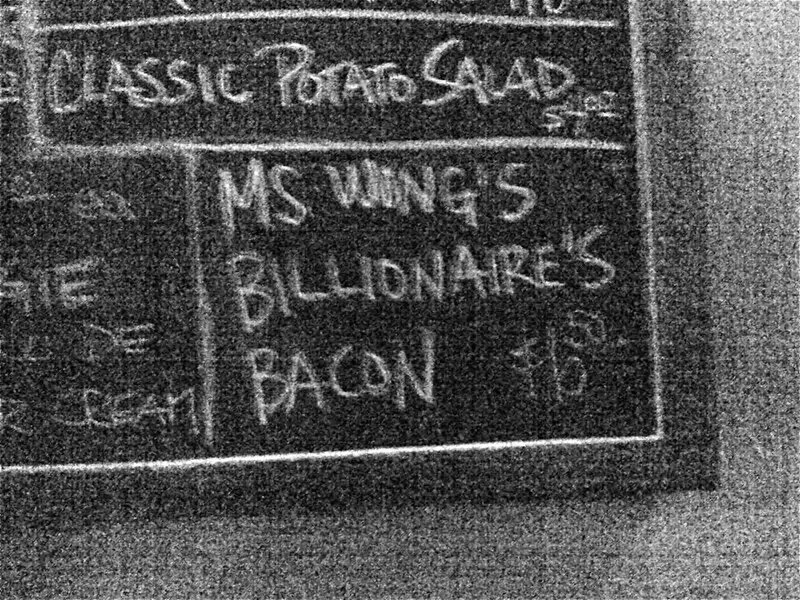 I think I've finally found something that I would NOT like better with bacon. Just reading it made me retch. I must admit, though, the word "BLTini" made me laugh out loud. And the reactions at the end are worth reading. I'm extremely jealous of my friends Marc and Pete, who live withing spitting distance of this farm. We have our annual batch of Ossabaw pigs ready for order! This year we had Seven beautiful hogs with us from April to December, They lived in the forrest on 4 acres, where they were able to be pigs, rooting and foraging for all the good things pig like to eat, finishing on their favorite- fall mast (acorns, hickory, and other fall tree nuts). As ironic as it seems it is true that the best way to keep these breeds from extinction is to eat them. It is the demand for these rare breeds that keep them populating farms. One of the consequences of industrial agriculture is that it relies on just one breed of chicken, and one breed of pig, that work work well in a factory farm production system. Meanwhile the other breeds, which are many and wondrous, begin to dwindle and then fade away for ever. So we offer you a pleasurable way to help the Ossabaw continue and make a difference by enjoying well cared for rare breed pork at your table. Breakfast Sausage(mild and Hot, 1# packs) $5/lb. Italian Sausage (1# packs) $5.50/lb. Chops (2 per pack) $7.00/lb. Shoulder roasts ( Bone in 3 to 4 pounds average) 4.50/lb. Ribs (2 pound packs) $4.50/lb. Uncured bacon (1 pound packs) $6.50/lb. Neck and Backbones (1 to 2 # packs) $3.00/lb. "One damp Saturday morning at the World Pork Expo in Des Moines..."
"I've made it a life goal to seek and find great bacons from all over the United States. Every year I taste hundreds of bacons and from my tastings I select the best of the best to be in my catalog. 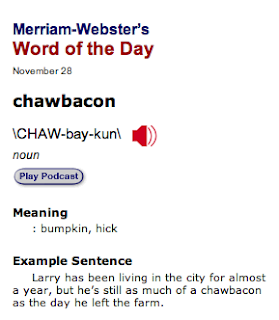 You can order bacons individually or in combos."